We’ve already discuss the process to make Tequila in a very short and general way, but in order to be a true Tequila Professional you have to understand each process in a very detailed way. 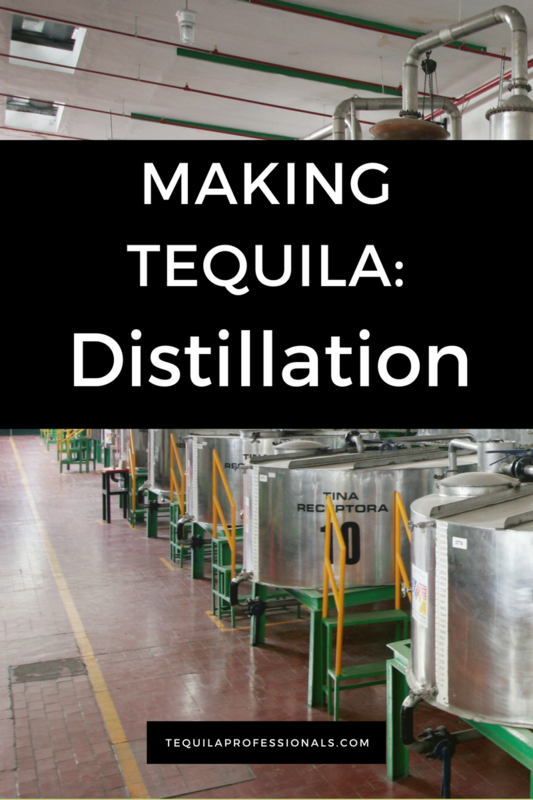 We’ll be posting a series of posts describing the different stages of making Tequila, here’s the fifth one: the process of distillation. During the process of distillation the ferments are separated by heat and steam pressure within stainless steel pot stills or distillation towers. Some tequilas are distilled three times, but the majority are only distilled twice. Distillation is an ancient process, however, the development of the still is usually credited to a Persian alchemist. The still appeared in Europe to make alcohol in the 12th century, and spread rapidly in the 14th century when alcohol was prescribed as a medicine for the Black death. Around 1400 it was discovered how to distill spirits from wheat, barley, and rye beers. There are two basic types of still: the traditional alembic (or alambique – the most common type) also called pot stills, and the modern column (or Coffey) still. Alembic stills were originally imported into Mexico from Spain in the late 16th century. Before that, mezcal producers used Filipino-style stills made from local resources, this can still be found in small traditional productions. Most alembic stills are made of copper, but modern alembics are made of stainless steel. 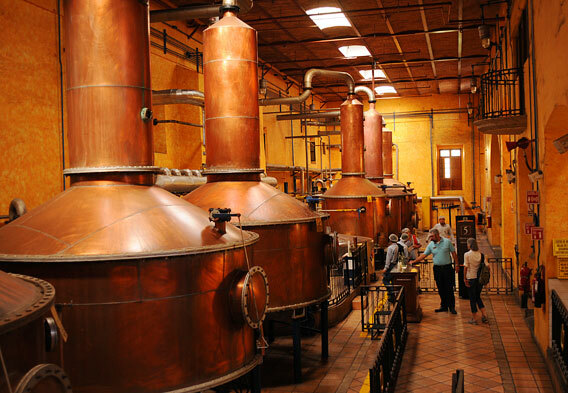 Distillation consists of boiling the mosto until it becomes steam. The resulting steam becomes alcohol when it is condensed with an approximated alcoholic graduation of 25%. At the end of the first stage, the resulting product is injected again into the stills for a second distillation. The second distillation, known as “rectification,” takes three to four hours and produces a liquid with an alcohol level near 55%. 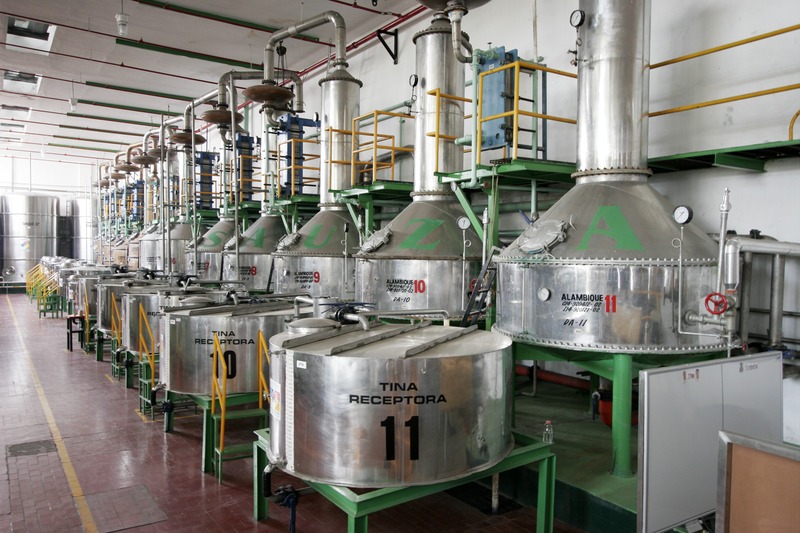 After the second distillation the tequila is considered silver, or “blanco,” tequila. In this second step the separation of heads and tails is made, with the purpose of regulating metanol and alcohol.